Patchwork is a light, two-player board game where players are each attempting to piece together a quilt using oddly shaped, tetris-like tiles. 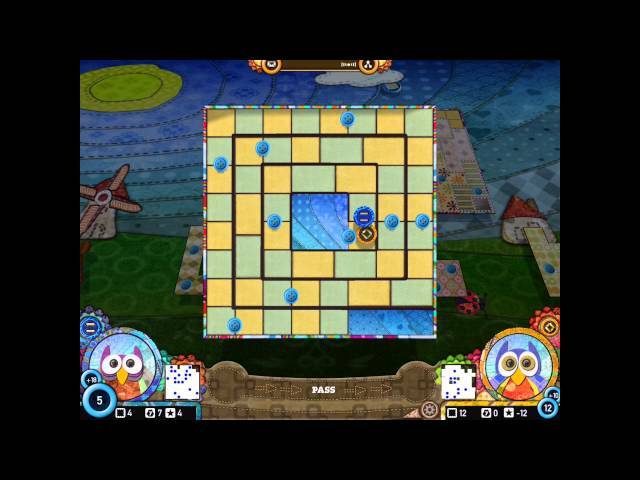 Players use buttons to purchase new tiles to add to their quilt but they must be picky in which tiles to select as buttons also count as victory points at the end of the game. 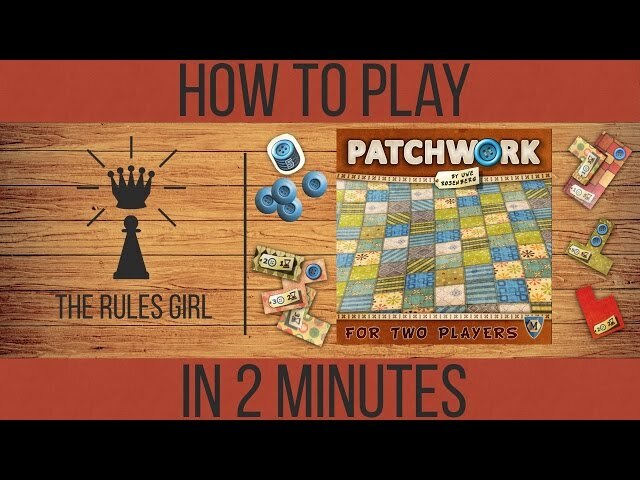 Rather than always alternating turns during a game of Patchwork, the player who is furthest behind on the central time board gets to play, meaning they may be able to take multiple turns in a row. Once both players reach the end of the time board, the game ends and buttons minus empty spaces on a player’s quilt board determine their final score. If you’re looking for a light two-player game with a little strategy that plays quickly, you should definitely buy Patchwork.